I want to give a big thanks to Laurie at Dreamland comics for hosting my signing a couple weeks ago. I had a great time and got to talk turkey with fellow artists Elliot and Art. 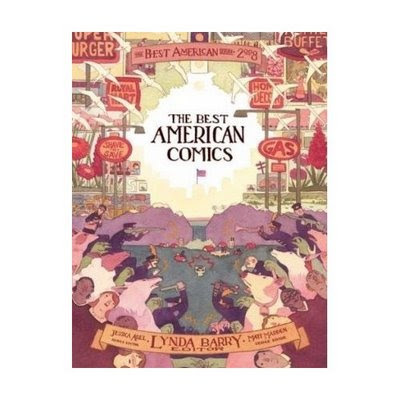 I'd also like to thank Rickey Gonzalez for alerting me to the fact that Burning Building Comix got a nice notice in the latest Best American Comics Anthology. It's in the back under Notable Comics of 2008, and thanks as well to Jessica Abel and Matt Madden who picked those titles. Pretty sweet. 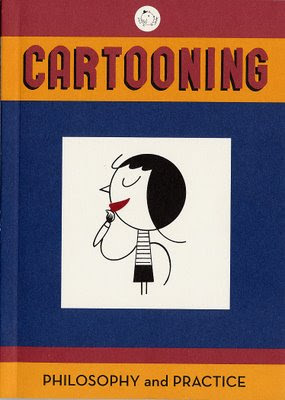 Now if only I could get a comic in one of those awesome anthologies SO I've been putting this off for too long, but I mentioned before how I wanted to go through the Ivan Brunetti book, Cartooning. The book has multiple lessons and I'm going to put myself through the paces to try and stretch my cartooning psyche. Not to mention expose my piss poor doodling skills. Might I also ask anybody else who is interested to join in following along with these exercise. So here are my first three. 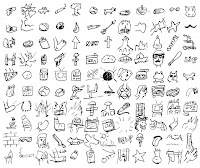 Exercise 1.1 : This exercise includes 6 drawings five different times. You're to take the same item and draw it 6 times in varying lengths. Starting with 3-4 minutes, then 2, then 1, 30 seconds, and 15 seconds. 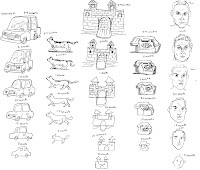 You start with a Car then go to a cat, a castle, a telephone, and a self portrait. Exercise 1.2 : Draw 25 quick doodles of famous cartoon characters from memory. So you'll have to either get the book, or take one of Ivan's classes to get the full explanation and reasoning for the exercises. Of course I highly recommend the book, and plan to get through all of them and post them here as they are completed.